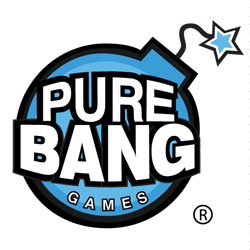 Pure Bang Games is a small, but scrappy indie game studio in Baltimore, MD with a mission to take over the world. Our games have been played by millions of people around the globe. We are looking for exceptionally skilled artists who want to learn and grow in a fun, creative environment making games. We are looking for a passionate 2D artist to create whimsical, fantasy themed illustrations. The ideal candidate has a strong understanding of form, function, and 3D perspective. They must be prepared to design characters, environments, weapons, mechanical concepts, and UI (this may also include UI support such as icons, wrapper screens, etc). We are looking for an exceptionally skilled 3D artist to join our team and help craft the visuals for a new fantasy game world. The ideal candidate has experience modeling and texturing a diverse visual range of characters and creatures. A solid grasp of form, structure, color, and light for both 2D and 3D art assets is essential. The ideal candidate works well in an environment with peers who are passionate about making great games. • Demonstrated proficiency modeling and texturing characters using 3ds Max and Photoshop (or equivalent 3D and 2D programs). • An exceptional understanding of human and creature anatomy and a keen eye towards form, shape, structure, and silhouette in regards to modeling. • Superior eye for light, shade, color and detail in creating texture maps. • Skills in both organic and hard surface modeling and texturing. • Self-motivation, good communication skills, and a great team-player attitude. • Ability to receive constructive feedback from management, peers, and other creative sources as well as critique other artists’ work; loves the iterative and creative process. • Understanding and passion for the imagery of fantasy worlds.